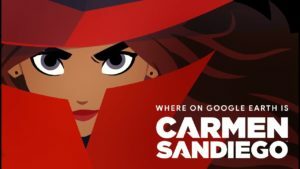 TechTalk Blog | Where on Google Earth is Carmen Sandiego? Google has just announced The Crown Jewels Caper! This is the first in a series of Carmen Sandiego games within Google Earth. The game was created in collaboration with Houghton Mifflin Harcourt and will edu-tain gumshoes old and new. TechTalk Blog | SAMR…what is it?